Even before Evan Williams opened his first distillery here in 1783, the city that’s home to the Cardinals and Ali has been shaped by the corn-based spirit. Today, there’s a revival coming on Whiskey Row—the city declared a stretch of Main Street the “Bourbon District” almost a year ago. Which means there’s plenty new to see in the Lou. 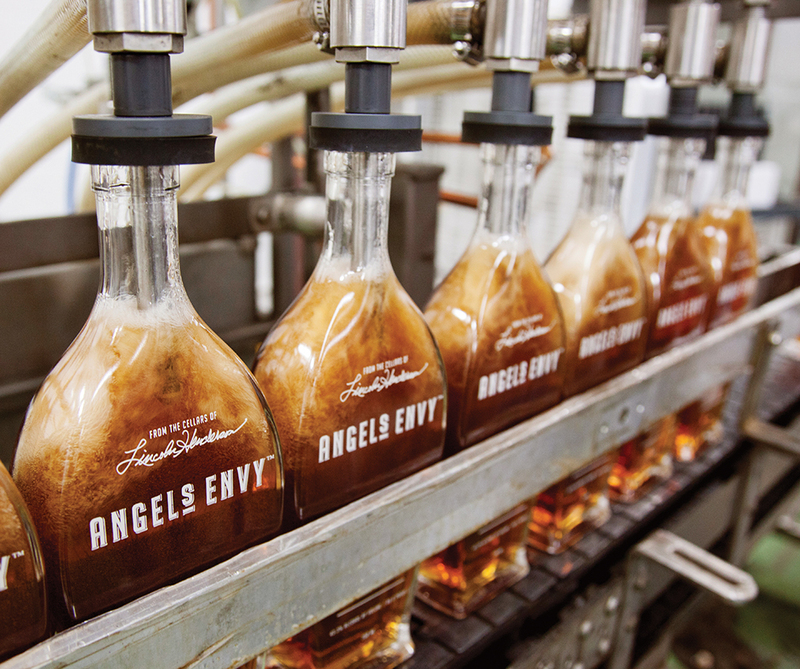 Created by master distiller Lincoln Henderson, the father of Woodford Reserve, Angel’s Envy is a small batch bourbon that’s finished in port wine barrels. 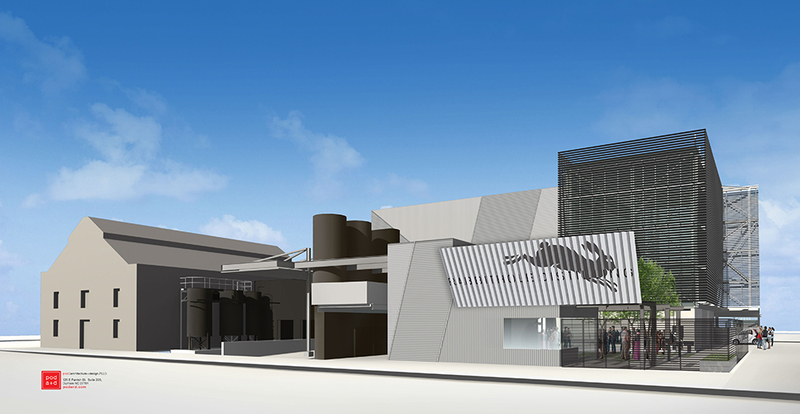 In 2012, the Henderson family acquired the former Vermont American Tool building and spent $27 million transforming it into the newest stop on the Kentucky Bourbon Trail. (Bacardi bought the brand in 2015; Henderson’s son Wes and grandson Kyle still run things.) Tours are limited to 10 spots each, and reservations are required. You’ll get an overview of the mash bill and the distilling process, and the centerpiece of the galleried distilling room is the three-story copper column still and doubler, made just blocks away at Vendome Copper & Brass Works. And of course you can taste: at a bar made from a single oak tree trunk, split in half (the floor is reinforced to support its weight). There are weekly and monthly cocktail classes, too, and you can pick up all manner of swag and spirits in the gift shop. Kaveh Zamanian says he was pulled down a rabbit hole when he fell in love with bourbon and the Kentucky-born woman who would become his wife at approximately the same time. 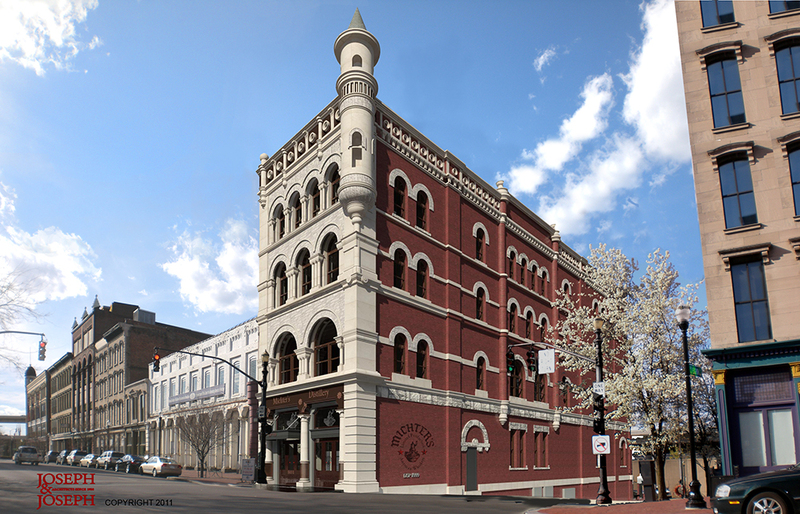 The Iranian former psychoanalyst and his team are putting the finishing touches on a whiskey wonderland in NULU; the complex will cover an entire city block and will hold a restaurant and bar, plus event space in addition to the brand’s production facilities. Partnering with Zamanian on the bar is Proprietors LLC, the force behind New York’s Death & Co cocktail bar. The whole shebang is slated to have its grand opening on Kentucky Derby weekend, May 4 and 5. Fire is one of the worst disasters that can befall a distillery when it’s in production; alcohol has to burn itself out, and a rickhouse filled with barrels offers plenty of fuel. (Google “Heaven Hill distillery fire” for a glimpse of the destruction.) Old Forester’s under-construction visitor center and distillery along Main Street in Louisville was the victim of another sort of fire three years ago. Luckily, damage was manageable, but delays still pushed off the opening until “late spring 2018.” The $45 million space will put production for the Brown-Foreman brand smack in the middle of new development, including apartments and restaurants. The Fort Nelson Building on Louisville’s Main Street survived an 1890 tornado and a 1937 flood. 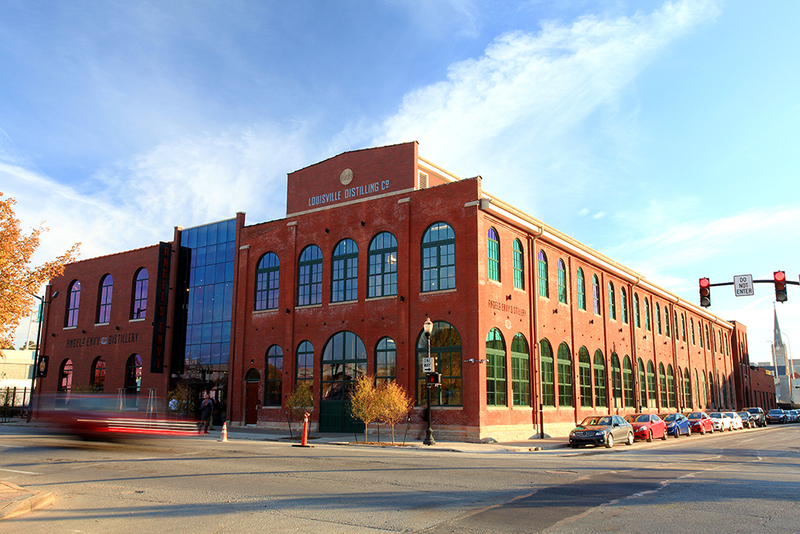 But by 2011, when Michter’s bought the turreted limestone-and-brick pile that’s across the street from the Louisville Slugger Museum, it was barely hanging on—one wall bowed 22 inches out of plumb. Building a steel frame inside the old brick walls helped stabilize the structure, and even though it delayed the project by several years, a late 2018 opening is still in the cards. 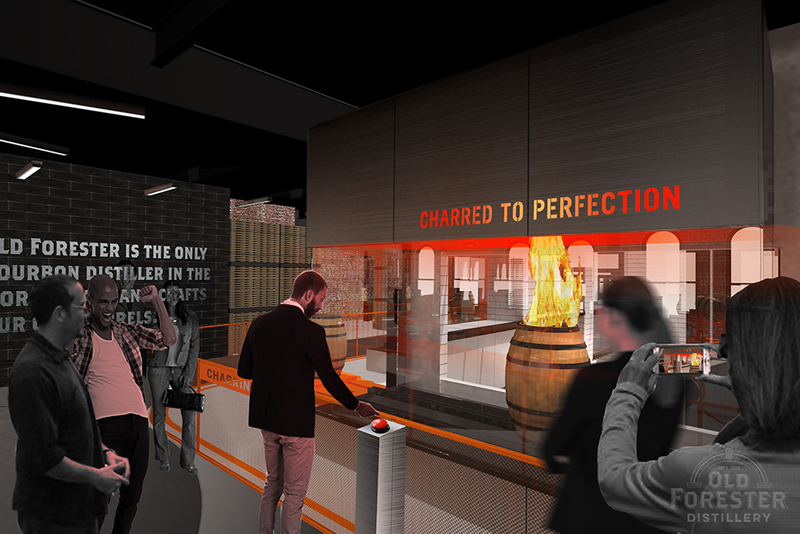 Visitors will be able to view production and get an overview of the history of this brand, which dates back to 1753 and calls itself America’s first whiskey company. 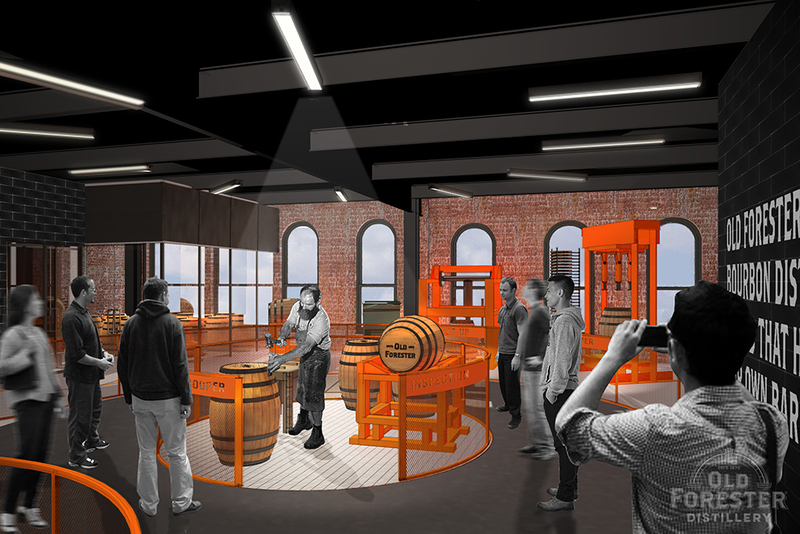 In 2016, officials at Buffalo Trace Distillery wanted to renovate an old storage building on the site for use as an event center. During the efforts to stabilize the structure, workers discovered fermenting vats, foundation walls, and sheets of copper that date to Colonel E.H. Taylor’s Old Fire Copper distillery, which had three iterations at the site in the late 1800s. Today, visitors can reserve a spot on the free E.H. Taylor tour (given once a day, Monday through Friday) and peek into the past themselves. 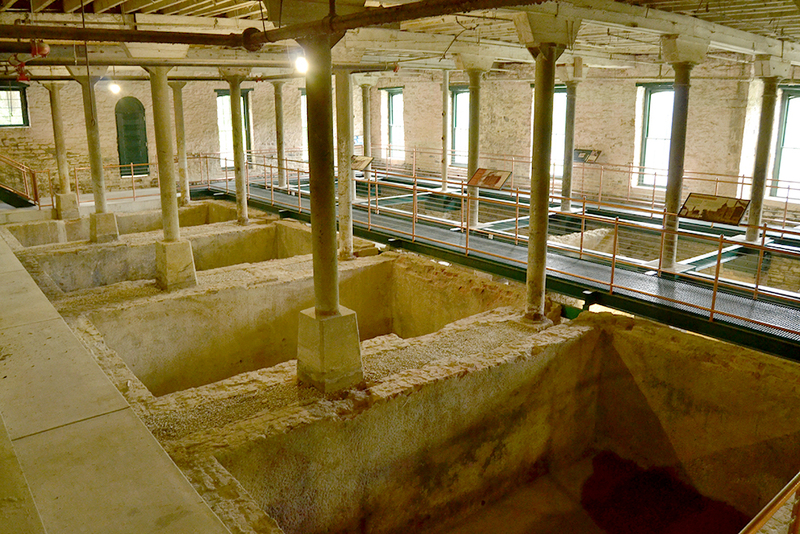 Plans are in the works to restore one of the vats and make bourbon using Taylor’s old recipe and process—which included lining the vats with copper, a step Taylor believed was more sanitary. Let’s hope they’ll have samples in the tasting room.